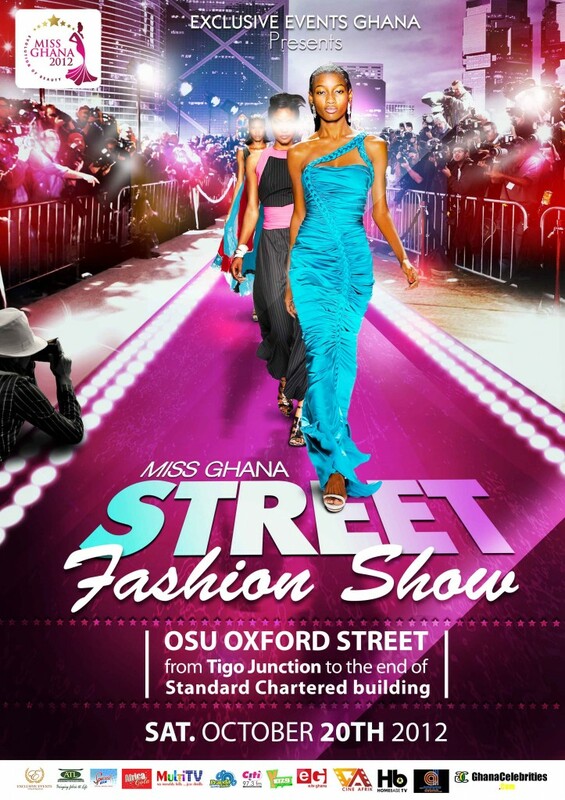 The finalists of the ongoing Miss Ghana beauty contest will hit the Osu Oxford Street this Saturday as fashion meets beauty at the Miss Ghana 2012 Street Fashion Show. The ladies will take to the runway to strut what would be some amazing designs from some of Ghana’s leading fashion houses including Details by Neyomi, Ciba, INKA, Nubian, poqua poqu, Ettien Hans, Anasimba by Zita, Naa Dei Morgan and Ndytsi by Akorfa. The first of its kind in the history of the pageant, Accra’s fashion community will witness, what is expected to be a spectacular evening full of glitz, glamour and fun. Exclusive Events Ghana, organizers of the Miss Ghana pageant has said the Street Fashion Show is going to be the “most stylish fashion show ever”. The stunning, intelligent and elegant ladies get a unique opportunity to sell their amazing poses to a large audience some of who will be seeing them for the first time since the beginning of the pageant. Expected to be a great show, the lineup will also include celebrity models that will join the finalists on the runway. D Black and Raquel will provide entertainment on the night. The organizers have also said that there will be lots of souvenirs to be won on the day. The after party will be held at Firefly, also in Osu. 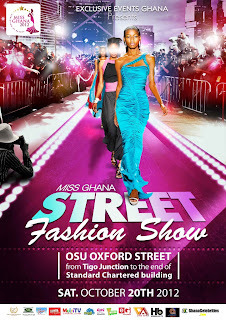 The Miss Ghana Street Fashion Show kicks off at 7pm. It is powered by Exclusive Events Ghana, with support from Dockers Cranberry Energy Drink.